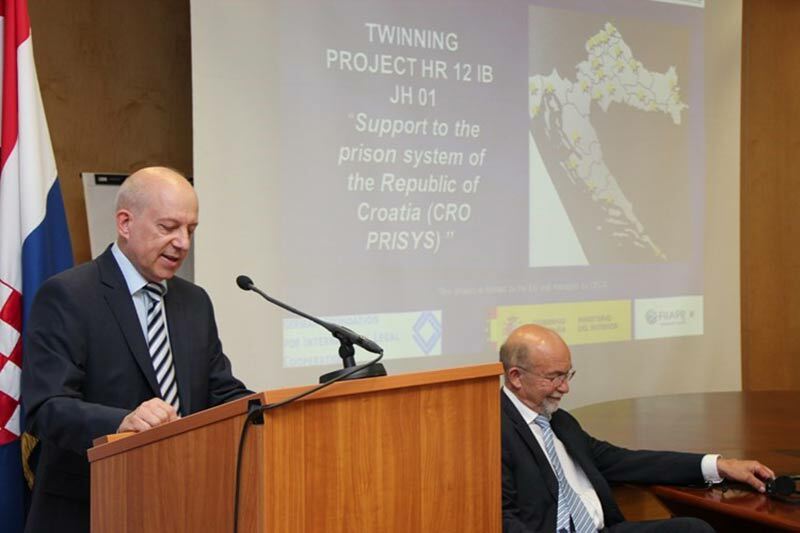 As part of the twinning project [LINK] Support to the prison system of the Republic of Croatia (CRO PRISYS), an event was held on 23 May 2017 at the Ministry of Justice for the Republic of Croatia. During this event, the Secretary of State at the Croatian Ministry of Justice, Kristian Turkalj, expressed his thanks for the successful cooperation between the Ministry and the other institutions involved: the IRZ and the Spanish “International and Ibero-American Foundation for Administration and Public Policies” (FIIAP) and the Spanish General Secretariat for penal institutions (SGIP). Kristian Turkalj pointed out that the measures carried out during the project for all areas of the prison system were of great value and that all important topics had been dealt with, including the legal framework. He discussed, amongst other things, the relationship between the prison system and the general public and praised the efforts made as part of this project to inform the public about the prison system and raise awareness of its importance. 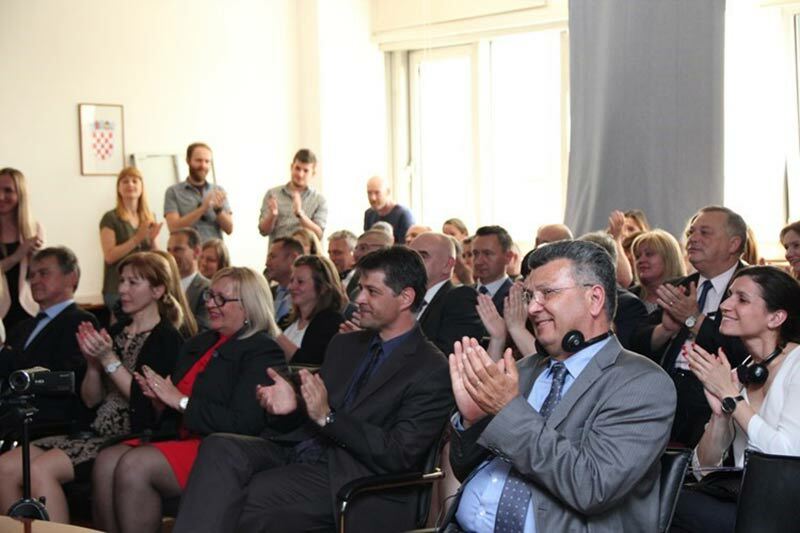 Thomas Lipp, Head of the Legal and Consulate department at the German Embassy in Zagreb, praised the efforts made by the Republic of Croatia to continue developing the justice system. 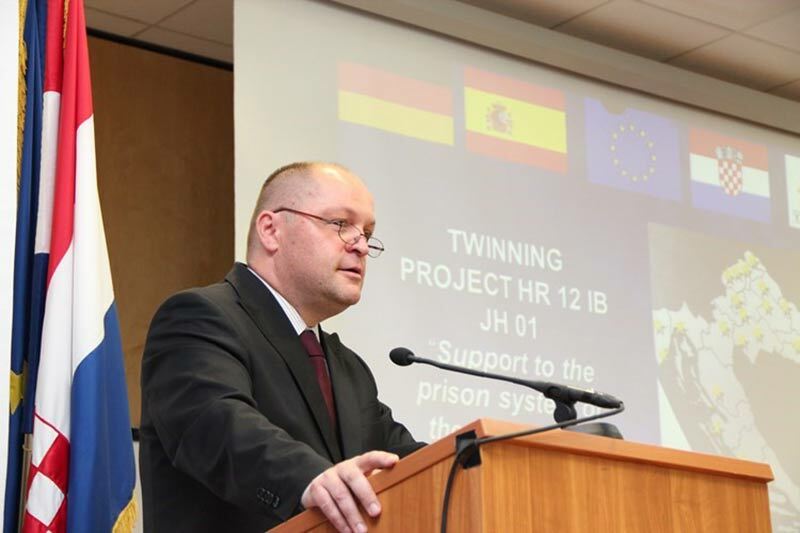 He also talked about the contribution made by the twinning project to the further development of the Croatian prison system. Francesca Melis Pont, Junior Project Manager and Representative of the Spanish partner, FIIAPP. 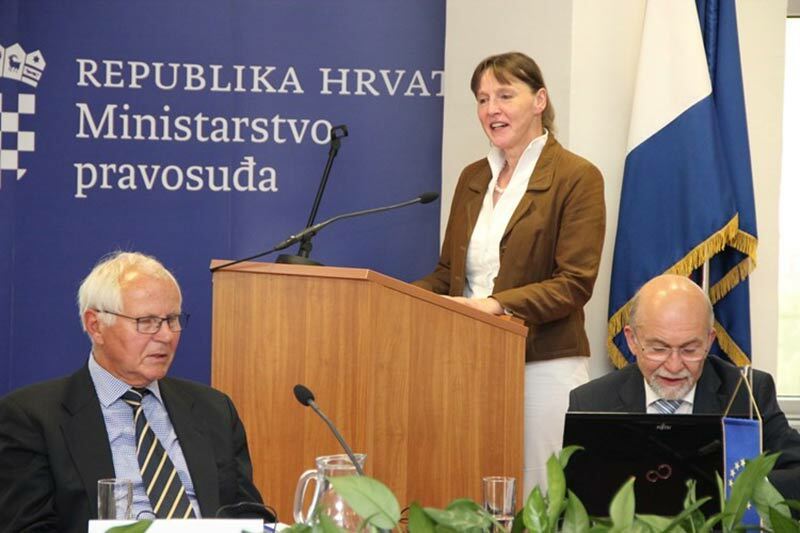 The objective of this project was to support the Croatian Justice and Administration of Justice with their legislative reforms and with the development and expansion of the training system for law enforcement employees. The project began in March 2016 for a period of 15 months. Under the leadership of long-term adviser, Siegfried Löprick, 27 experts from Spain and Germany, as well as an expert from Romania, contributed their knowledge to this project. The budget for this EU-financed project was EUR 700,000.